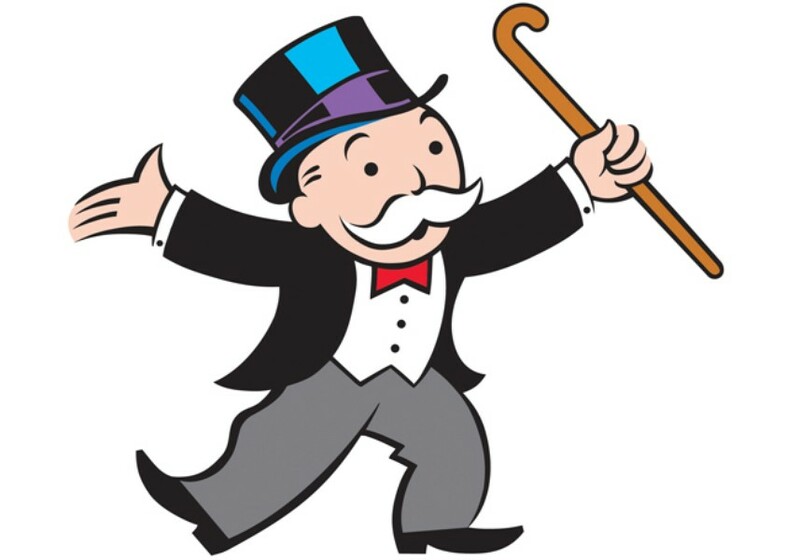 Hasbro’s Monopoly managed to insert itself into several news cycles over a week ago with an announcement that one of the classic player tokens would be retired and updated with a new token. The classic game, originally owned by Parker Brothers, holds a storied place in American culture and you would be hard-pressed not to find a dusty copy in nearly every household in the country. Despite it’s popularity, I am one of those growing number of gamers who maligns this game for its poor gameplay and overall lack of satisfaction in investing a couple hours slogging through taking laps around the board and pummelling opponents into bankruptcy. Everyone knows Monopoly. Since its early development at the turn of the 20th-century and then its acquisition by Parker Brothers in the 1930s, a mythology developed around Monopoly as a game which grew out of the Great Depression and flourished in the post-war boom years of the 1950s and 60s. Monopoly has hundreds of boardgame variants (I have a Brooklyn-themed set at my house), video games, state lottery games and an annual McDonald’s sweepstakes, all of which have extended the game’s tentacle-like brand across the country’s culture. My family spent hundreds of hours in my youth playing Monopoly. Family friends often came over for rounds of play propped up by pizza, soda for the kids and beer for the adults. We played Monopoly so much that we wore out a couple sets, and when I visit my parents I can still find a set on the shelf in a crowded closet of games and puzzles. The game does have appeal in its relatively easy rules of acquiring property, collecting rent, building real estate empires and out-earning your opponents. Kids enjoy the game early on as they learn to count, add and subtract, and I think adults enjoy it since you can be pretty much be assured anyone knows how to play. The game has expanded into a worldwide presence, but it’s usually viewed as a very American game where simple winner-takes-all economics wins. The problem with Monopoly for gamers like myself is that it is no fun and requires little to no skill or input by the players. Moving your top hat, battleship, race car, dog or other game piece around the board, a player’s fate is left almost entirely to the roll of the dice. A simple strategy (if you can call it that) of agressively buying any and all properties you land on (except the Ultilities, who buys those?) usually wins the game. Random dice rolls, an ever-shifting variance of popular “house rules” and economically destroying opponents makes the game incredibly frustrating. I have rarely played a game where tempers haven’t flared and people haven’t walked away mad at each other. So, when Hasbro announced plans to retire one of its Monopoly game pieces recently, I was and wasn’t surprised at how much press there was. Newspapers, magazines, TV and cable news, blogs, talk radio and even usually-serious outlets like NPR lept on the story. What the whole thing was to me was a cycnical modern marketing ploy, a manufactured media event cooked-up by corporate boardroom marketers to place a decades-old brand back in the public consciousness and boost investor shareholder value. As I often write here, there are so many great games to play with your kids, in your college dorm or with a group of friends on your dining room table. Unfortunately, most of the best games today (like Settlers of Catan, which I talk about a lot here) simply don’t have the marketing behind them to insert them into the public’s mind. Monopoly is very American. It’s the fast food of gaming – cheap, quick, easy, tasteless and ultimately unsatisfying. Do yourselves a favor and find something more nutritious for your gaming.